3 Station Road is a freehold office building. It is 3 storeys of brick construction below a mansard style roof. There is a rear parking area with 8 car spaces. 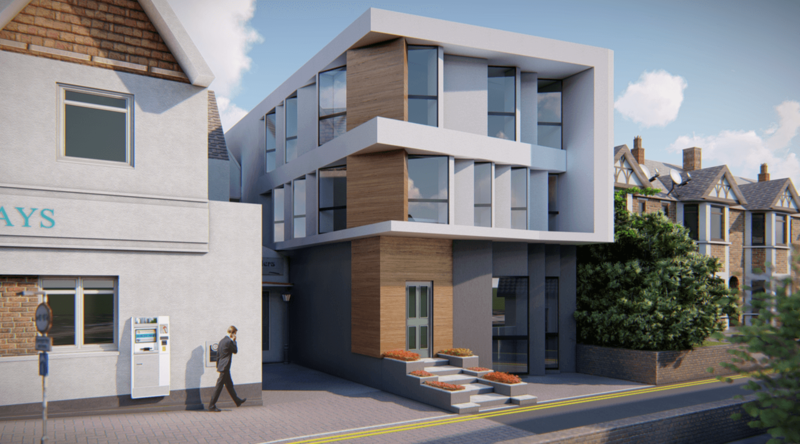 The property has lapsed planning permission for conversion from class B1a to C3 residential. Following changes to the law in 2013, the building’s change of use is now enabled via permitted development rights. We shall not require a full planning application. A prior notification will be served on Tonbridge and Malling council when the plans have finalised, who, based on initial conversations, will look favourably on the change of use. Approval is expected within 56 days of application. We intend to convert the building to 6 x 1-bedroom apartments. There is potential to extend the building at the rear, create larger apartments and generate more value in the project. This project offers a learning element. The developers will be hosting site visits and webinars and will be providing monthly updates as the project progresses. This is an opportunity to learn about converting commercial space into multiple residential units. Established by John Friis in 2016, Watermark Homes is involved in developing beautiful, affordable residential property. We focus on south Greater London and towns of the southern home counties within a 60 minute commute of the capital. Apart from developing our own projects, we also work with development partners on other schemes throughout the UK. We manage the whole development process; from acquiring finance to dealing with agents and ongoing management. Lafina Diamandis is a medical doctor, educator and property investor with over 10 years of experience buying, developing and selling residential properties in London. She runs the only course in the UK specialising in property training for doctors, has authored 2 books including the upcoming 'Property Investing for Doctors' and is a founding member of Quorum Property Developers Club. Lafina is also the co-founder of Eurekadoc, a startup helping doctors to realise their full potential through diverse medical education and careers curation. She has delivered education and training to over 1000 doctors to date and is an advocate for portfolio careers in medicine. Currently working on a pipeline of developments between £1 and £5 million across the UK, Lafina’s focus is on leveraging her experience and contacts in both real estate and healthcare, to create innovative solutions for the housing problems faced by patients as well as healthcare staff. She is motivated by projects with a social purpose and is curious about how concepts such as ‘Co-Living’ could be used within the healthcare sphere and the positive impact that this could have on our communities.